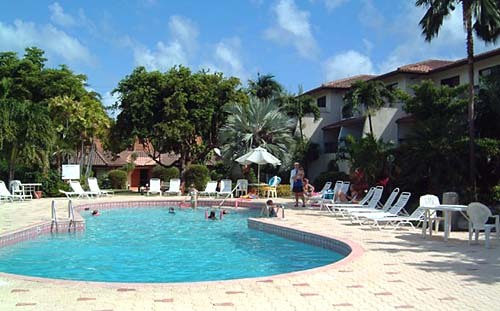 Lacovia Condominiums, Grand Cayman -- Lacovia is located in the heart of the beautiful Seven Mile Beach and boasts over 400 feet of white sand. 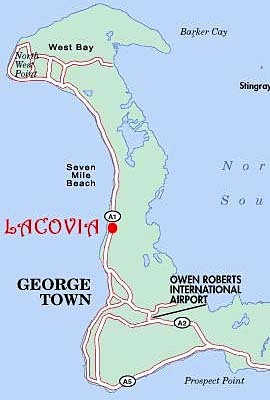 Lacovia is within easy walking distance to shopping centers, grocery stores, restaurants, diving facilities, golf course, Stingray City trips, and nightlife. It is a short two miles to downtown George Town and 3-1/2 miles to Owen Roberts Airport. The grounds at Lacovia are covered in lush landscaping containing tropical flowering plants, coconut trees and palm trees. 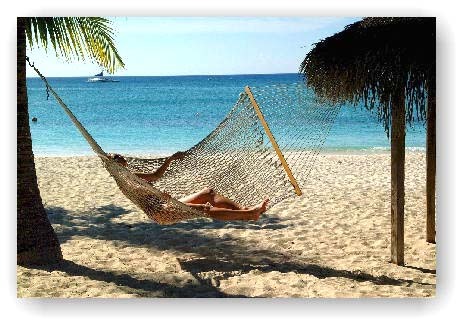 Scuba dive, tour, shop, or just relax in a hammock while you watch the beautiful sunsets. Enjoy the best of Grand Cayman with Lacovia Condominiums on Seven-Mile Beach. Why a condo? -- Island Dreams works hard to bring you the best of the Cayman Islands. From decades of experience with this destination, we know that condominium lodging is often the best way to go. A condo will afford you more living space, and the benefit of a full kitchen. No, you don't have to cook all the time. But it sure is nice to be able to make your own breakfast, or have a relaxing lunch at home. Also great to have fridge full of soft drinks and beer, or just a freezer full of ice cream. Lower Price and Bigger Value -- In addition to this added value, a condo also may be your best price option in Grand Cayman. This is particularly the case when you have more than two people traveling. Four people sharing a two-bedroom, two-bath condo can make for a very fine holiday, at a great price. It is based on this that are pleased to recommend to you the services of Lacovia Condominiums. Please contact Island Dreams for availability and pricing.